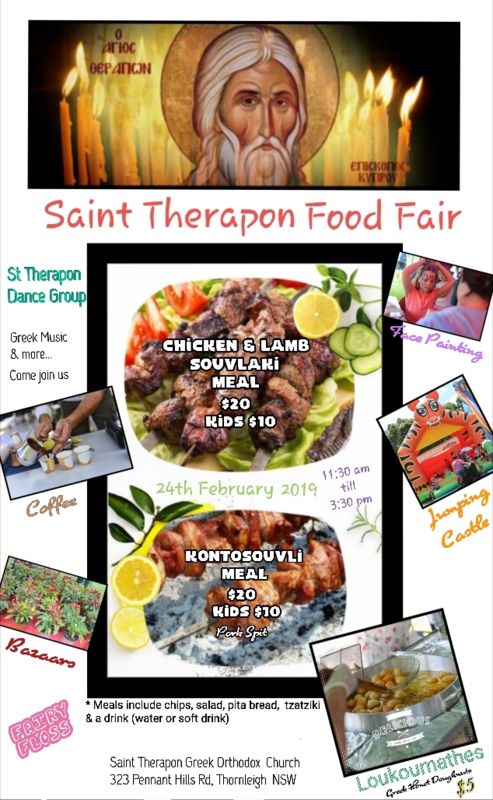 Parish of St Therapon Greek Food Fair 2019, St Therapon is hosting another exciting Greek Food Fair! Sample the best of Hellenic cuisine at a fun family day out! We hope to see you there! 323-325 Pennant Hills Road: What’s On? Traditional Greek and Cypriot cuisine, coffees, traditional Greek dancing displays, children’s face painting, jumping castle entertainment and much, much more.